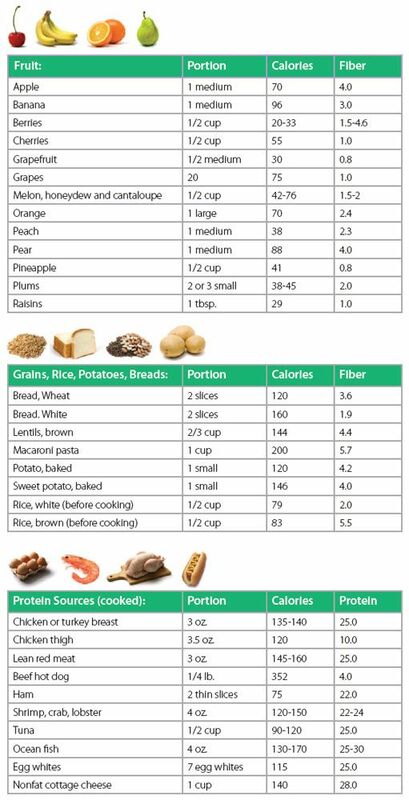 Low Calorie Food That Helps You Stay Full! Very low calorie diets are effective for many people, particularly the HCG diet, but a lot of people still believe that very low calorie diets don’t work. They actually do work quite well, even for patients who may not have had success with other diets. There are several scientific reasons why very low calorie diets can result in rapid weight loss. Although they are not a permanent solution, they offer a transition to a healthy lifestyle and a way for people who haven’t had success with dieting or weight loss in the past to see rapid results. Very low calorie diets are not dangerous when they are properly medically supervised, and they offer a safer alternative to many of the other weight loss options available. The HCG diet utilizes the effect of the hormone HCG along with a very low calorie diet to achieve its weight loss goals. The only real way to lose weight quickly and safely is by restricting your caloric intake, which very low calorie diets accomplish. During a very low calorie diet the human body switches to a ketogenic state which results in rapid fat loss. This state can be continued as long as the dieter restricts their calorie intake to be more than what they need. Diets that are structured in this way can be continued for an extended period of time without serious complications for the majority of people. Very low calorie diets end up being significantly more convenient than other types of diets that require exercise or other difficult to follow requirements. The HCG diet is a perfect example of such a diet, as its requirements are designed to be simple and the specific foods that are allowed on the diet and their servings is detailed completely. Many other very low calorie diets are not as effective and don’t have the clinical research backing them up like the HCG diet. The HCG diet has very direct and simple instructions, and dieters benefit from this. It also has a few other distinct advantages compared to many other diets, and it does not take very long to complete. One of the biggest reasons why very low calorie diets are often successful is because of the fact that most of them are short in duration. It’s important to note that even longer duration very low calorie diets are safe if they are medically approved, as many obese patients can have calorie restrictions in the long term without suffering major medical problems. The HCG diet lasts for just a period of three to six weeks, which means that most people can handle the length of time required for the diet without any major issues. It’s also an easy diet to learn for most people, and the protocol has been around for a very long time with minimal modifications compared to most other diets. For many things in life, quality is more important than quantity. For a very low calorie diet, it’s not the number of calories that you are eating that matters as much as the quality of those calories. The best very low calorie diets like the HCG diet are more focused on food quality, which is why it does not result in nutritional deficiencies like many other diets. The foods for the HCG diet are carefully selected based on the minimum nutritional needs of the average person. Only natural whole foods are allowed on the diet with strict restrictions, and there is a sufficient amount of protein on the diet as well which helps to ensure that muscle mass is not lost. Some people may need additional tweaks to the diet such as increasing the calorie amount slightly, increasing the protein amount, or other changes to the diet, but most people can follow the standard protocol without any issues. Some people also take a multi-vitamin while they are on the HCG diet, and this can be a good idea for many dieters. If for no other reason, it can give dieters the peace of mind that they can safely stay on the diet without having to worry about nutritional deficiencies. When the diet is properly followed, there are no nutritional issues, and an experienced medical provider will be able to tell the patient about any particular precautions that they need to be aware of before they start the diet. Although very low calorie diets are safe and an excellent alternative to traditional medical treatments like bariatric surgery, they always need to be attempted under the direction of a medical provider. There are some contraindications to these diet that have to be reviewed by a medical professional before a person attempts the diet. With the wide range of very low calorie diets being made available online, and with many patients attempting these diets without medical advice, there have been more people who have had nutritional deficiencies, gallstones, or other health problems. There is really no circumstance where a person should attempt a very low calorie diet without getting some sort of medical advice. With the proper medical supervision, a very low calorie diet can help a patient get back to a healthy lifestyle and change their eating habits. It’s happened already for thousands of people on the HCG diet, and within just a matter of three to six weeks, many patients report that their appetites have changed, that they no longer feel the urge to eat the same unhealthy foods that they used to eat, and most importantly, they report substantial weight loss. All of these results are accomplished without having to rely on dangerous bariatric surgery, medications, or other weight loss treatments that come with major risks and can be very expensive.